Jacquelin Perry, M.D. has just passed away at age 94. She was born on May 31, 1918 and died on March 11, 2013. She is best known for her work on polio patients and her 1992 text Gait Analysis: Normal and Pathological Function” became an instant classic. The Salk vaccine, introduced in the mid-1950’s, effectively ended polio in the Western World fairly quickly. Dr. Perry directed her attention to improving a rehabilitation program for spinal cord injury, work on hemiplegia, and children’s neuromuscular disorders including primary muscular dystrophy, myelodysplasia, and cerebral palsy. Before beginning her medical studies Dr. Perry studied physical therapy and served as a physical therapist in army hospitals during WWII from 1941-1945. She reported that in addition to trauma patients, she had been exposed to polio patients during this time which spurred her interest. From an early time in her career she began observational gait analysis and worked to codify her observations. Later video and EMG (electromyography) and forceplate observations were added. She is acknowledged often in the physical therapy community. Dr. Perry has inspired many to research in gait and biomechanics. But all biomechanists know of her work and realize the thanks owed to her for her interests, work, inspiration and research. We often have had a more limited acknowledgment of our forebearers but she is certainly a major one in the realm of biomechanics and gait analysis. While we now have improved measuring devices (in laboratories and sometimes in clinical offices) and we measure and make observations of moments of force in addition to the things we can see, her work has had tremendous impact and has had much value. As Galileo performed visual observation with his telescope long before we could study pulsars, quasars and black holes, Jacquelin Perry worked well with the instruments she had available. Eyes and a brain were among the instruments she often put to good use and was the starting point for much research and treatment. Her life is an inspiration to innovation, passion, dedication, persistence and endurance. Every now and then the “Fear Factor” comes to the Internet. And if you travel the running blogosphere, you’ll discover that sometimes it takes the form of a red alert for heel lifts for Achilles tendonitis. It seems that some would rather have you run in pain or give up because of the pain for fear that a 1/8″, 1/4″ or 3/8″ lift which alleviates the pain could cause a tendon to “pop”. There is evidence that the sound of a tendon popping may come after an indiscriminate intratendinous injection of steroid though. The truth is one should pay attention to what your body is telling you. Running in pain which causes an alteration in form is not good. It will most likely lead to both your original injury not improving, and a few additional injuries because of your altered gait. With the knowledge that medicine is an art and a science, it is probably best to avoid dogmatic opinions such as “no, no ,no” to a heel lift. 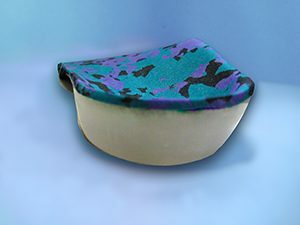 While some will be helped with shoe and surface corrections, orthotics, stretching and strengthening alone, the addition of a 1/8 – 3/8″ heel lift can often make the difference in both comfort and eventual healing of this condition. The lift is used on both sides to avoid creating a longer leg and altering the gait in such a manner that could create low back pain, hip pain or other problems in the absence of the affected leg being a short limb. The lift is best made of a non-compressible material. It is extremely important to avoid compressible materials which will lead to continued slow stretch movement which could add to either activating the stretch reflex of the achilles tendon or allow for eccentric contraction of the muscle-tendinous complex. 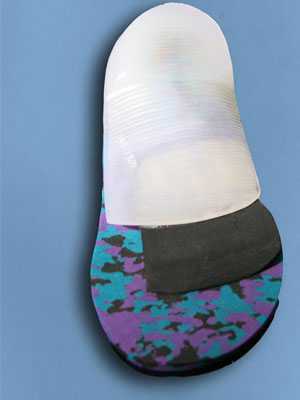 This may work to inhibit the healing of the tendon, and stop the individual from being able to run without pain. We certainly, and the ladies among us, especially, will vary our heels by much more than this over the course of a week. A slight change in the heel contact and foot angle should not put your Achilles tendon at greater risk of injury. While there are flaws in evidence based medicine and in the ability of us to accurately predict those most likely to become injured, there is no evidence that 1/8 to 3/8 ” lifts cause ruptured Achilles tendons. Not even the slightest hint that muscles and tendons would be ruined by such a lift or adapted so much that you’ll never be the same. I do not know of any study that shows a 1/4″ lift used for a limited amount of time each day could shorten the muscle/tendon complex. There is adequate time spent in other shoes, barefoot, and even doing stretching exercises. Running in pain without a heel lift, or more dramatically running on a soft surfacer with a mushy, over cushioned shoe or a racing flat is far more likely to lead to chronic pain and disability. Proper orthotics are a must, along with avoiding over cushioned running shoes to prevent the tendon while functioning from being over stretched and causing eccentric working of the muscle-tendon complex . There seems to be no reason to avoid a heel lift, but it is not the be all and end all of a program to treat Achilles tendonitis. I wasn’t sure what I’d find in the texts, but thought it would be interesting to see what other minds have come up with on this issue. I did not think that Noakes would agree with the heel lift, but he did. I do not know what is the scientific basis or aggregate clinical experience to imply that heel lifts are the worst possible therapy for this problem. Alfredson, H. and Cook, J. in Clinical Sports Medicine, 3rd Edition eds. Bruckner et. al. McGraw Hill 2006, reprinted 2007. Chapter 32 “Pain in the Achilles Region” p. 606 “A heel lift worn inside both shoes (0.5 – 1.0 cm, .25-0.5 “) is a good practical way of unloading the region. Bradshaw, C. and Hislop, M. in Clinical Sports Medicine, 3rd Edition eds. Bruckner et. al. McGraw Hill 2006, reprinted 2007. Chapter 31 “Calf Pain” Since the calf includes the muscles which create the Achilles tendon, we’ll look at comments in this chapter also. “A heel raise should be used on the injured and uninjured side”. Noakes “The Lore of Running, Fourth Edition” Human Kinetics Press. 2003. Noakes feels a shoe with a heel height of higher than 12 – 15 mm and says “most authorities agree that a 7 to 15 mm heel-raise should be added to the running shoes”. The current issue of Medicine and Science in Sports and Exercise (MSSE) has a study which indicates that the frontal plane force vector of the limb is directed more medially (toward the midline of the body) in those who have sufferred tibail stress fractures. The magnitude of forces in the control group were the same as those in the group that had sufferred injury. The conclusion of the authors was that the direction of the forces may be a contributor in the development of tibial stress fractures. 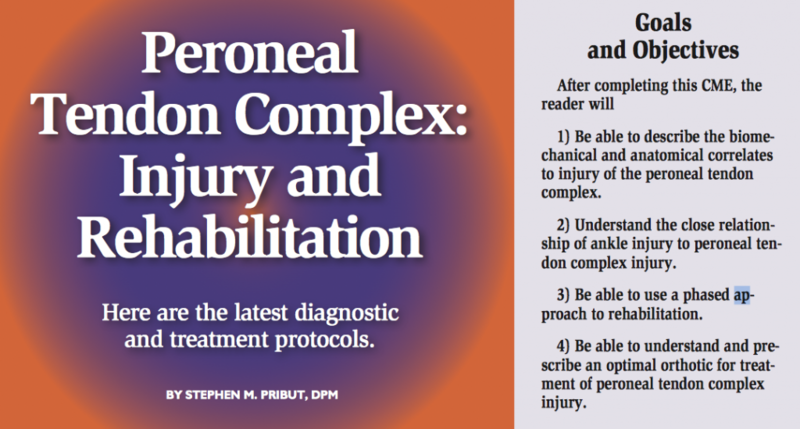 This add a specific biomechanical risk factor for tibial stress fractures. Within a narrow to medium range of normal this may be very significant. At greater deviations from normal, such as with severe genu valgum or varum (knock kneed or bow legged), my guess is that the forces will be too far away from the affected area to matter. So one day another study, with more extremes will have a different result than the current one. Study design and sample populations play a large role in study results. Studies have already demonstrated the efficacy of the Pneumatic Walker in aiding and speeding healing of tibial stress fractures. Excessive pronation plays a role in overload of the medial muscles of the leg and also will shift the force vectors medially. 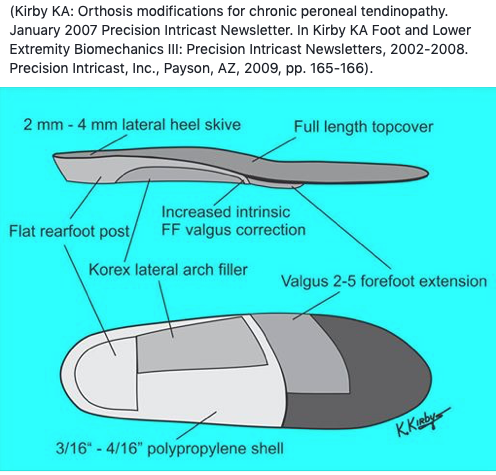 Well designed custom foot orthotics should effectively shift the vector laterally and could be useful in preventing recurrence. No one factor alone though should be considered enough. Bone density, calcium and Vitamin D needs, and training must be evaluated. Already, the warnings are in for avoiding too much, too soon and to allow your body, and your bones to adapt to the stresses you want to place them under. Increase your training slowly, gradually, and carefully and make certain to drop back every 2-3 weeks while increasing the training volume (and load). External Frontal Plane Loads May Be Associated with Tibial Stress Fracture. Medicine & Science in Sports & Exercise. 40(9):1669-1674, September 2008. 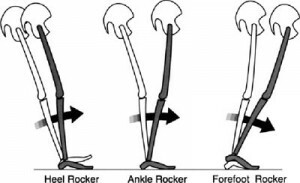 Effect of Inverted Orthoses on Lower-Extremity Mechanics in Runners. Medicine & Science in Sports & Exercise. 35(12):2060-2068, December 2003. Dr. Bill Sellers of the University of Manchester has just announced that he has made a computer model that demonstrates that tendons are an important structure to store and return energy. Well, this may be big news for my 70 Priest in World of Warcraft, who soon may be modeled to have a bit more spring in his step. Already, my undead priest is able to walk and dance better than the gnomes can, but he is hardly able to run. Now, what does the announcement mean to the rest of us and what did Dr. Bill say about his computer modeling? “What we’ve found is that muscles are attached to bones by tendons at the end and these tendons are big springs that store energy. If we make a model without tendons, it turns out that it’s rubbish.” Unfortunately a view of the model indicates that it seems to resemble what I imagine his recent model of 5 dinosaurs moving would look like. Dr. Bill did make the news earlier this summer with his announcement that his computer model of T. Rex showed T. Rex was fast as well as fearsome. Well, a model in which the knee hardly bends while running, no quadriceps is visible, and the longitudinal arch of the foot (and plantar fascia) is not playing a role in gait is also rubbish. Without a computer model, one can see what happens to the gait in which one has a rupture of the Achilles tendon. There is no active propulsive phase. Erdemir et. al. with Neil Sharkey wrote in JBJS in 2004 about how the plantar fascia may transmit the energy stored in the Achilles tendon to the forefoot. The statement about storage of energy in the tendons was most recently made fairly close to the University of Manchester, in the British Journal Nature by Bramble and Lieberman in 2004. “Collagen-rich tendons and ligaments in the leg store elsastic strain energy during the initial, braking part of the support phase, and then release the energy through recoil during the subsequent propulsive phase. To use these springs effectively the legs flex more in running than in walking…” Further back Cagagna, Thys and Zamboni made similar hypotheses in 1976 and Ker et.al. in 1987 wrote an article titled “The spring in the arch of the human foot” which included the foot within the gait model as a place of energy storage. Certainly the running shoe market will soon include energy return systems which mimic the storage system of the plantar fascia via storage within bending plates of metal or plastic rather than “springs”. Computer models must be made to mimic the system they purportedly model and therefore we need tendons present in the model. In other literature they are often modeled and pictured as being the equivalent of a “spring”. Please note, there is a statement in much of the lay press indicating that gorillas do not have an Achilles tendon. They do, it is, however, much smaller and shorter than that found in humans. A debate over who was best able to run fast and at what stage of our evolution could we do this is of interest, but another interesting question is when did we figure out that we could set traps for our prey and not run or make weapons, be it a stick, a spear, or a bow and arrow, that would keep us from having to run quite as fast as our prey. Since our sprinting speed can only be sustained for around 15 seconds, at some point our ancestors found that it is not the sprint that helps us, but our intermediate distance running or our endurance running that will allows us catch up and serve up our prey. And better yet, our brain, which will let us run smart, and perhaps, not have to run much at all. Then all our running can eventually evolve to running for pleasure and less to finding food. Hence the evolution of food down to a power bar or a squeezable container of gel. It is important also to note that much goes into having an upright bipedal gait and at least as much into having a running gait. While many animals are considered to have adapted to more forms of gait than humans, I’d view it as more than just two forms of gait. Just watch a steeple chaser to see more than 2 in just a few seconds. Well, I wasn’t entirely serious about the steeple chaser. I view our different speeds and distances that we cover as contributing to different gait types. These gaits involve different energy systems to power them. A sprint of 100 meters, a sprint of 800 meters, a mile race, and a marathon employ different aspects of our energy systems to accomplish them. While our speed will not overcome most of our competitors, our sagely wisdom, ability to plan and yes, even our intermediate and distance running will have a tremendous impact. I also like both computers and computer models. I look forward to seeing a quadriceps, gluteal muscles, posterior tibialis muscles and many other factors added into the computer based simulation. Just a few years ago at the Iowa College of Podiatric Medicine I viewed a work in progress: a simulation of gait using a cadaver limb with the lower limb muscles loaded and pre-programmed to tense at the time in which a normal gait would have them do so. This “action” model nicknamed “Dead Man Walking” was set up so that one could alter the use of the lower limb muscles in a stride. Hopefully more will come of both kinds of studies and those writing about it will describe accurately the work and the words of the author. I plan to seek out more of Dr. Seller’s own words, which are thought provoking, and a bit less of the third party interpretation. Bramble DM and Lieberman DE (2004) Endurance running and the Evolution of Homo. Nature, 432: 345-352. Cavagna GA et. al. The sources of external work in level walking and running. J. Physiol. Lond 262: 639-657. Hicks JH: The foot as support. Acta Anat (Basel) 25: 34, 1955. Lapidus PW: Misconceptions about the springiness of the longitudinal arch of the foot. Arch Surg 46:410, 1943.